Looking for more easy energy bite recipes? I’ve got you covered. 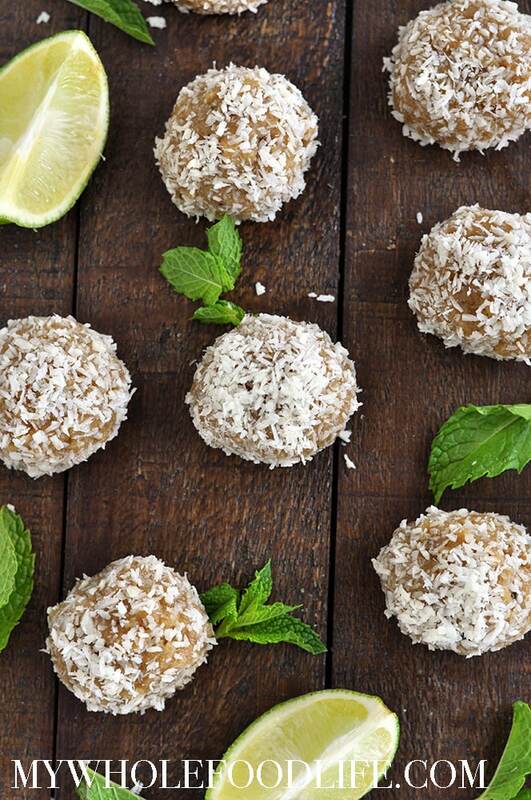 These no bake Coconut Mojito Energy Bites are perfect for summer. No refined sugar and only 6 simple ingredients. Vegan, gluten free and paleo! In a food processor , combine all the ingredients until they are mixed well. 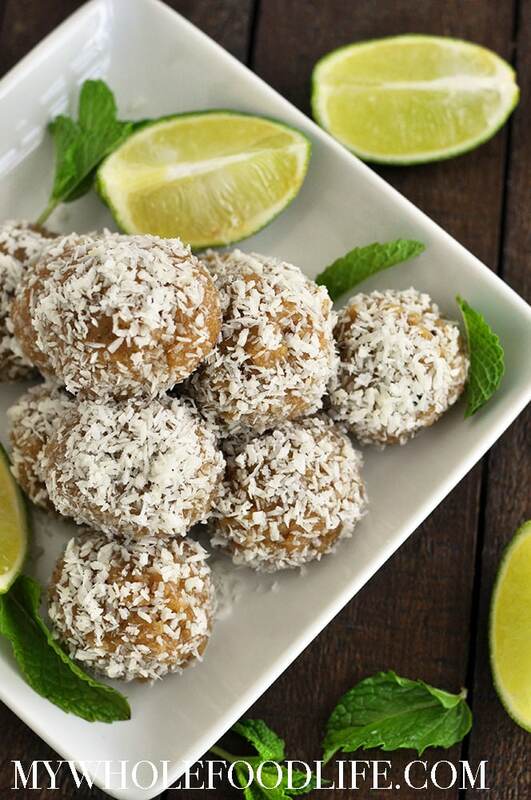 Roll into balls with your hands and then roll each ball into the unsweetened shredded coconut. Once all the balls are covered in shredded coconut, transfer them to a lined baking sheet and place in the fridge to set. About 30 minutes. These should last at least 2 weeks in the fridge. They can also be frozen for longer. Enjoy! !